Elf on the Shelf Jesus Style Biblical Virtues FREE EBOOK! It’s been 3 months since my last post. That is probably the longest stretch of “no blogging” I have had in the past few years since I began this journey of sharing my heart online. I’ll be honest…it hurt me a little! These past few months have been crazy! Our mountain home became the vacation destination for our family and friends! We absolutely loved having guests all summer! I became the Women’s Ministry Coordinator at our church! This is a new adventure that I am so thrilled to be on. I look back at the past few years and see how God has been preparing me for this role. 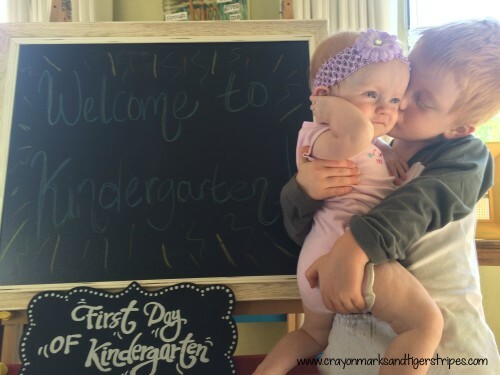 I officially became a homeschooling momma this August. We are loving it, and you will see alot more on the blog about this new part of our world. I have been taking courses all summer to better equip me to serve you. My desire for this blog is to encourage you and bring you closer to our Savior. I have been taking classes to help grow this ministry, and I am so excited to be relaunching my blog! Recently, I had a major health scare. Last September, I suffered a severe head injury. After the amazing birth of my sweet baby girl in December, I thought I was in the clear. But in January, I began getting headaches on a nearly daily basis. The dizziness returned in July. I had an MRI in August, and it was confirmed that I did not have a mass! However, 3 short weeks ago, I had a serious health scare. I had a seizure. From what we can tell so far, it is a result of my head injury. Because it is related to my head injury, the likelihood of it reoccurring is high. I have since had an EEG, and I have been put on seizure medication. I go back to the neurologist in October to evaluate the seizure medication. It is making me so fatigued that I can’t hardly stand it. I have two little ones to care for and school to do with my son and 2 ministries to run! To top it off, I can’t drive til March 2016. Ain’t nobody got time for that! This is definitely a journey I never thought I would be on, yet here I am. I know God has a plan and will bring something beautiful from this mess, but oh man…it’s a struggle. My baby girl and I, a few short hours before I had a seizure. Despite everything that has been happening this summer, I have continued to work on this blog, just in a behind the scenes kind of way. And I am so excited to announce that over the past few months, I have been putting together an e-book. After months of hard work, it is finally done and it’s ready for you…and it’s FREE! 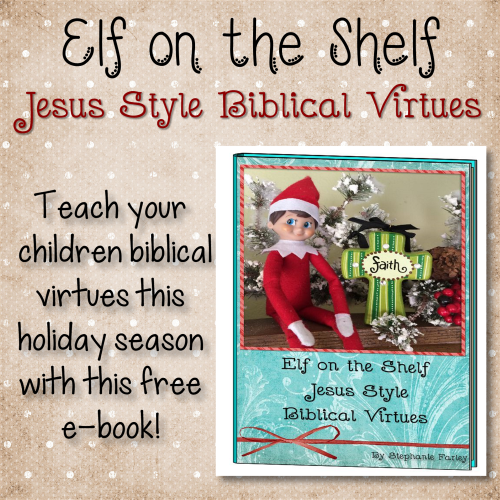 To celebrate the re-launch of my blog after the craziness of the summer, I am so thrilled to announce that Elf on the Shelf Jesus Style: Biblical Virtues is officially available for FREE! Elf on the Shelf Jesus Style Biblical Virtues is a full 25 day curriculum for the advent season! Focusing on 25 different biblical virtues, you and your child(ren) will combine the magic of Christmas with the truth of Jesus through hands on activities, discussion and scripture. All you have to do is subscribe to my newsletter and it’s yours!!! I am truly so excited to get back to blogging and sharing what God has laid on my heart with you! Thank you so much for taking the time to put together this ebook. I have subscribed and just received the book. I am blown away by how detailed it is. It’s just what I’ve been looking for. We’re doing ‘Elf on the Shelf’ for the first time and I was very conscious of the need to put more emphasis of the Saviour, Jesus Christ. I’m so excited to use the ideas in your book. I am from Wales in Great Britain by the way. Oh thank you so much! I am so excited for it to be used all across the globe! It makes my heart so happy to hear how far this little ebook has traveled! Oh my you certainly are being challenged! Five years ago I experienced a traumatic injury. A misdiagnosed sprained ankle snapped as I flexed my foot to go downstairs and my foot became totally separated from my leg. I signed consent to amputation or an outside chance of reattachment of the foot. The orthopedic trauma surgeon was able to reattach the foot. I have had seven major surgeries since then. Five on my leg and two neurosurgeries for complications. I developed RSD (reflexive sympathetic dystrophy) in my lower leg and have a continuous pain level of 8-9/10. Pain medications are ineffective. Enough about me. I just want you to know that I truly know what you are going thru and the stress such major change causes on family life. I was very independent. A registered nurse working 12 hour nights so I could be home during the day with my children. I was fortunate given my children we’re older when this happened (one in law school, two in college, and my youngest in 7th grade). I cannot imagine how I could have coped if they had been your children’s ages, as looking back now I have no idea how I did it back then with my full health! You will find many challenges in finding ways to cope especially with being tired from medications and being unable to drive. I think the biggest lesson I have had so far has been humility. I have a difficult time asking for help as I was always independent and the one who was a caregiver – not only of my family but in my community. It is still difficult but I humble myself and take care of the important details in life. You will also learn who true friends are in your life. My circle of those I consider close friends has shrunk but there have been surprising additions and rwconnections from my past. God works in mysterious ways!! I also placed frogs about our home, in my purse, and in my jacket pocket as a reminder when I feel at a loss to “Fully Rely On God” then I stop and thank God for three positive things that are happening. Your blog that I have only recently discovered is wonderful! My grandson will be almost three this Christmas and I was trying to think of a way of incorporating a Christian take on the elf but still keep the magic of Christmas! (I remember the absolute magic of Christmas as a child much the same as you). God bless you and may he envelope you in His healing grace. Please contact me anytime day or night if you ever need someone to vent your frustration, wish to have a good cry or just give a petty moan and groan lol! My shoulders are wide and strong! Wow Colleen! I cannot imagine the pain you must deal with from your foot. That sounds dreadful!! Thank you for your kind words and encouragement. I too have been learning about humility this past year. I have had to rely on others for so much due to this injury and without the friends I have, I would be so lost. I am so grateful for them!! I recently read the story in Matthew about one of the disciple’s mother in law whom Jesus healed and she immediately got up to serve Jesus. Her story touched me so much, even though it was just a briefly mentioned. I need to have her attitude, even on the hard days! Thank you again so much for your encouragement! PS: Enjoy the elf!!! I pray it blesses you and your grandson!! I am not a huge fan of Elf on the Shelf, but I love that you have given it a positive and worthwhile spin! Wow, you’ve had quite a lot on your plate recently. Thanks for the ebook. Very scary, we’ll keep you in our prayers. Hopefully you can be cleared to drive sooner than March 2016. Debbie @ Traveling Well For Less recently posted…Free Travel, up to 125,000 American Airlines Miles, and More! Wow! You have a ton on your plate. I can’t believe you had the time to pull off an ebook. I love the idea of your ebook! I have been looking for ways to make Christmas more meaningful for my daughter aside from the presents and other material things. Thank you!! That is exactly why I created it! Not only to combine the magic of Christmas with the truth of Christmas, but also to take the focus away from presents and focus more on His Presence! I know it can be hard to watch something you love doing fall by the wayside, but you have clearly been one busy woman. God took your blog off of your plate temporarily so that you could heal and refocus. Seems like you are doing a wonderful job! I hope your October appointment goes well. Please know that you are in my prayers. I LOVE this idea! My husband and I have had many conversations around Christmas time about not wanting to bring the Elf On A Shelf into our home when we have kids because we feel that the traditional way of using it promotes bad behaviors. HOWEVER, if we used something like this I think it could be extremely beneficial. Thanks for sharing! I love the idea of combining secular with the truth of Christmas. It is just another tool to use to teach about the truth of Christmas! Thanks for stopping by! You do have a lot on your hands….I do wish you the best on your journey …and hope all works out for all of you. I pray that you recover soon. What a crazy scary few months you have had. Be sure to rest and give yourself plenty of time to heal. It has been a crazy few months. But God is good and has a plan! I hope things settle down for you soon. Hopefully the fatigue from the meds is short term until your body gets adjusted to taking them.What a great idea for including Christ in the Elf on the Shelf fun. Thank you! I am going to the neuro this week so hopefully she will have something to say about the medicine. I hate feeling so tired!! Wow so many things happened. Thank you for sharing and good luck with everything. Wish you all the best. WOW! You have a lot going on!! Thank you for such a great e-book. I have to admit, I have never liked the idea of Elf on a Shelf. So knowing you’ve taken a Jesus-type slant on it, makes me happy! I’ll be sharing your link with my readers. Thanks!! Thank you for sharing it!!! You rock! I hope you are feeling better soon! I have a seizure disorder & the medication for it is, as you said, so incredibly fatiguing. There have been times that I just haven’t taken it because I know that I can’t afford that kind of fatigue. Not the best solution but I don’t know what else to do, honestly. Several of our friends do Elf on the Shelf – I’ll pass your post along to them. I have done that a few times where I couldn’t be tired that day because I had to much going on. Not the best solution, but I have done it too a few times! Good to know I am not alone, but I am sorry you have to deal with that too. It’s so hard! Thanks for sharing the Elf on the Shelf post!! How scary! So sorry to hear you are still having issues related to your fall. Hope everything works out. You are a busy mom! Your blog was a lot of fun to read. Good luck with your e-book! Definitely praying for you. Recovery from serious injuries can take years and even then there can be some aftereffects. Hopefully, they will be able to put you on a medication that won’t make you so fatigued. Thanks for the eBook! I’m always looking for books during the holidays that will better help me teach my children the true reasons we celebrate Christmas. Thank you for your encouragement! Enjoy the ebook! What a great idea! We have an “Elf Magic” elf instead of Elf on a Shelf. The story/ book that goes along with the Elf Magic includes Jesus from the start. That’s why I opted for Elf Magic rather than Elf on a Shelf. We love our Elf Magic and I look forward to incorporating your Jesus ideas into our Christmas season! Oh I have never heard of that! I will check it out! wooooow!! so busy!!! but busy is so good! i love this and can’t wait to get the ebook! Busy is good! I do like busy! Enjoy the ebook! Wow seems like you are in a season of change and growth! Prayers that your health will get squared away. What a great ebook idea! I am sure people are really going to feel blessed by your book. I hope so! Thanks for stopping by! Wow, you have been through a lot and I can only imagine how difficult not driving right now is for you. I will be praying that your health stabilizes and that you will be seizure free!! You ebook sound great. I try hard to weave Jesus into the Christmas season every chance I get. I will be signing up! Thank you for your prayers!! Enjoy the ebook! I pray it blesses you and your family! This is a great idea! You’ve taken something that has become mainstream and made it into something that teaches a lesson. You’re one smart lady. I’m a head injury survivor, too, and though our circumstances are different, I understand how difficult and long-term recovery is. I’m also a homeschool mom in our 13th year of homeschooling, and my est advice would be to accept that you cannot do it all. Focus on the important things each day, take care of yourself, and enjoy your kids. The years fly by! Time certainly goes way to fast! Thank you for your encouragement! WOW…I was just feeling overwhelmed with my 3 littles, homeschooling, blogging, company coming, homemaking, play dates, and studies….and I read your post and thought…I GET IT. 🙂 Praying for you as you work through the fatigue caused by the medication and all your responsibilities. Sorry to hear you are going through some health issues. I hope you feel better soon. What an awesome freebie! Thanks for putting it together. Cute little princess. A lovely post from you. Stephanie, you are an inspiration! I am sending you best wishes and prayers for your health issues. Homeschooling is a lot of work- but one of the most rewarding things to be involved in with your children. I love your Elf on the Shelf ideas! Although I do not have children at home anymore, I do a variation of the Elf on the Shelf with my grandson- we call it the Leprechaun in the Garden, and I use it to teach compassion, positive thinking, and caring. I appreciate your work on the ebook! Thanks so much for your encouragement! Perhaps you can incorporate some of the Elf on the Shelf Jesus Style into your leprechaun. You don’t have to use the elf on the shelf. You could just use the curriculum with your leprechaun! Have a blesses holiday season! How cute! My daughter is too young for that this year, but it would be fun to do that next year with her! You have a lot on your plate, but somehow you managed to write a book!? I am impressed! I am subscribing to your newsletter and also can’t wait to read the book. It seems like we have a lot in common and would be great friends if we ever met! Good luck on all your new adventures and prayers for your health! Thank you for subscribing ! It took me several months to get it all put together, but I am excited for it to be done and shared with everyone! I pray it’s a blessing to you and your family! What a wonderful thing to have accomplished(the ebook). Health scares are just that terrifying. I had the same thing happen to me a few years ago after a car accident and I still am unable to drive. It’s pain waiting for my husband to get off work and take me where I need to go. Good luck to you. Oh how do you handle not being able to drive? I can’t stand it! Luckily, I am blessed with a “care team” of ladies from my church that are willing to drive me and my children to different places. I feel for ya! It is so hard! Wishing you a speedy recovery my dear. My son’s are too old for the elf but will pass along to others. Wow, what a story, you have certainly been through much… I shall look forward to taking a look at your eBook too! Also, I love your Welcome words…a recovering perfectionist… oh I know that feeling too well! I look forward to reading more from your blog. Yes! God can always makes something beautiful from my mess! You have a ton going on! I’m excited to see where your blog goes as you share more about His word and your homeschooling adventures. Love the Elf on the Shelf freebie! I’m pinning this for others to find as well. Thanks! Thank you for pinning it!! I am excited too! YAY for homeschool! I was homeschooled from 1-7th grade and all of my much younger siblings are homeschooled now as well. I will have to tell my mom about the elf-on-the-shelf. She never bought one because it seemed like an odd thing, but the idea of tying it into Bible stories is wonderful! We are loving homeschooling!! It fits our family so well. It’s not always easy, but we know it is what God wants us to do! Oh no! I’m so sorry about your injury and seizure. Best wishes and prayers! Stephanie, I’m new to your blog, and what a testimony. You have so many things on your plate and yet you take them all with grace. I look forward to seeing the new things (like homeschooling!) that you start sharing. Elf on a shelf with virtues is a beautiful idea–perhaps not just for Christmas but all year long. I love that idea. Wow, what a year! I can’t imagine all you have gone through, accomplished, and experienced with all of your new responsibilities at church and with a newborn, dealing with the repercussions from your head injury. I love your positive, honest spirit, though, and I believe the Lord will continue to walk with you through this time; He is faithful. I love your Christ – centered Elf on the Shelf idea! We have not used him before, but it’s a great spin on a popular product! Thank you so much for your encouragement!! It has been crazy around here, but I thrive on it sometimes 😉 Although I could do without the fatigue! I am really excited about this for my first graders! Oh that is awesome that you are going to use it for your first graders! They will love it! Oh Stephanie! You have SO much on your plate, my friend! 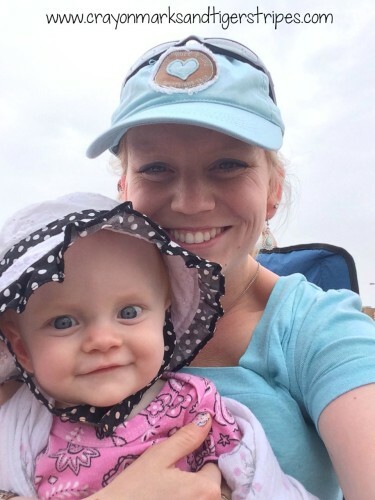 What a season you are in- with motherhood and homeschooling, and the challenge of your physical issues, and the fulfillment of your new ministry role- wow. I’m so glad you shared all of it, so I know what to pray for with you. Chris Carter recently posted…Are Thank You Notes Becoming Obsolete?